Today has been an exciting day for G Suite customers - Google has announced new Hangouts apps, Drive File Stream, and Add-ons for Gmail. There are a few smaller features coming to enterprise users as well, including Team Drive, Google Vault, and new migration tools. Google Drive has supported sharing entire folders with other Drive users for years, but Team Drives take that up a notch. 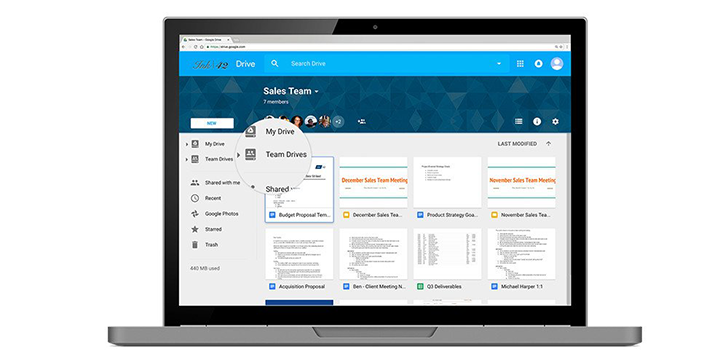 Team Drives are shared across multiple people, and everyone automatically sees the same files. Administrators can also add new members to a Team Drive if needed. Next up is Google Vault, which unfortunately sounds cooler than it really is. This essentially gives G Suite administrators full control over files in a domain, by setting retention policies and other protections. For example, admins can set Drive to keep all files indefinitely. Finally, Google is trying to make moving to G Suite as painless as possible by acquiring AppBridge. This means that businesses can more easily migrate to G Suite from other business solutions, including OneDrive for Business, WebDav, SharePoint, and more. All of these features are rolling out to G Suite customers starting today, and you can see the source link below for more details.